Ok, so I sat down with my favorite 3d designing tool and made a case for this board. I think it turned out quite good. I still could make some more simplifications to make it faster to fabricate. But I will wait with that I think. How much it will cost to get Sparky2 case from you ? Are you selling them ? If so, can you PM me ? Thanks for sharing your knowledge, experience and links Cliff, much appreciated! BTW, if people can't get hold of a GPS like the V9, then what other alternatives are there, if any?? I have bought this M8N (OP V10) GPS ($22 shipped) (and another) and am working on getting the mags working with it. Supplied cable must be cut and spliced to an OP (JST-SH 1.0mm) cable. That would make a lot of people happy. Yes thanks Cliff that is pretty cool! The GPS option is a big bonus if you can get it up and running. We are currently taking our first steps with the support in LibrePilot for the Sparky2 board. So far we are doing well and I hope I will be able to present more information here as we progress. Big thanks to TheOtherCliff for the initial work to get this new and exciting hardware up and running. I currently use this GPS ($15 shipped) on my favorite 500mm Revo quad. You have to egg out the holes 1.5mm each to stack it with a Revo. The one I got (YMMV) just needed the supplied cable pins put into a standard OP JST-SH connector in the right order to get the GPS (not mags) working. I followed your advice and bought the same one. Any chance you still remember how to wire up the cables to the JST connector. I didn't find a schematic from this one yet. Edit: found it, made a quick connection diagram. 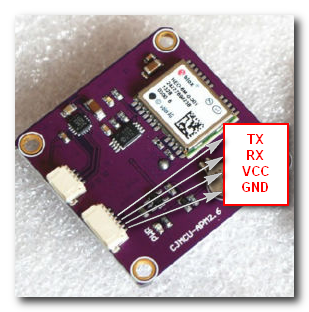 Be aware that the GPS needs to be powered by 5V standard receiver power (can take more volts, it is regulated on GPS board), but the mag must have 3.3v. If you want to use the mag you need to either steal power from the GPS voltage regulator with a soldered wire on the GPS board, or somehow supply 3.3v to the other GPS connector (using an external voltage regulator). I have successfully connected the GPS regulated voltage (3.3v) to the mag power, with a wire on the GPS board, and leave the external mag power wire disconnected. I also left off the mag ground wire and rely on the GPS ground wire. I seem to have better luck calibrating this mag than I do a V9 mag in that it seems to stay green more. Could be other reasons involved though. IIRC the mag needs a fairly high current pulse at a low duty cycle. This and other options (especially this Neo8 with mag for $22 http://www.ebay.com/itm/251997592219 ) are discussed in some FTT only threads. First hovering test with Cliff's branch Sparky 2 and Librepilot went fine. Just a short flight outdoors to see that it works. Sensor calibration (accel, gyro, mag, level, temp) worked fine, although it shows Revo pictures. Just check where Sparky 2 has it's "nose" and follow text during calibration then you're fine. Otherwise, works perfect Next step I guess will be enabling EKF with M8N GPS (which is already implemented) and voltage&current sensor (don't know if ADC works yet). are you planning an alpha release ? Theese are exciting news! Crashed my "black snapper " today in case of FC failure, time to move to sparky board... Hope theres an easier way to get an external mag working soon! Just heard about all this, please release this ASAP, I don't use my Sparky now as previous software experience was very bad.